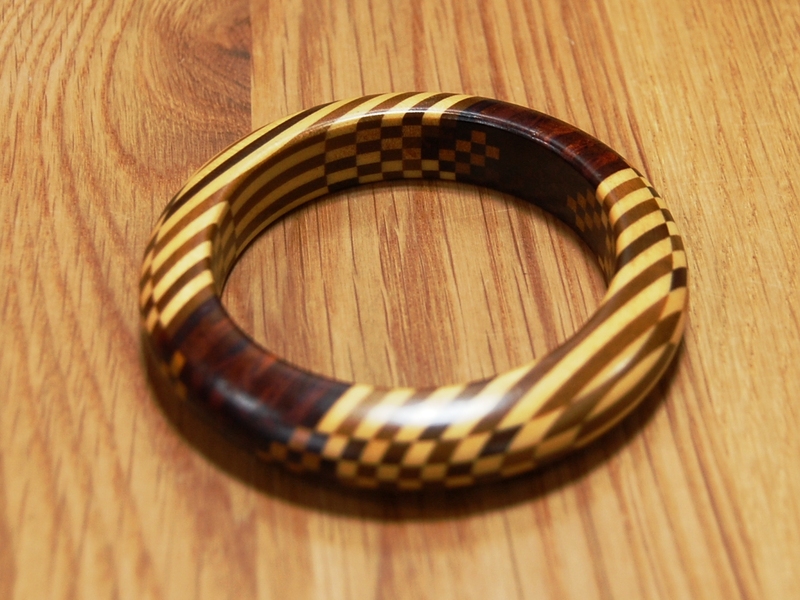 The design of this bracelet is solid hardwood all the way through the lid and ends. 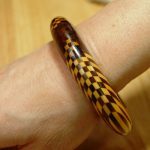 This bracelet does not use yosegi overlay. 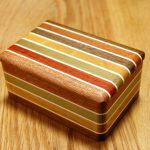 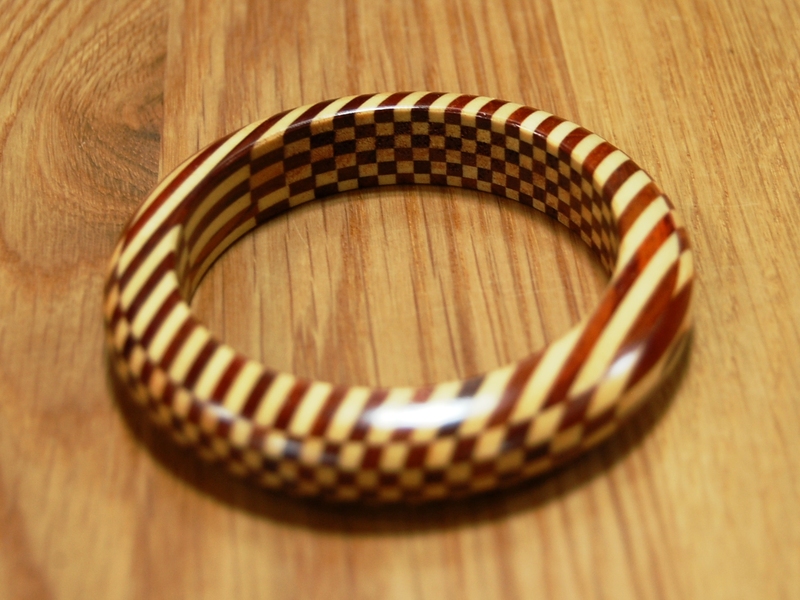 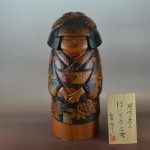 Muku Yosegi Bangle Bracelet B Product Dimensions(mm/inch) 87x87x15mm/3.3×3.3×0.6inch(64x64x15mm/2.5×2.5×0.6inch) The design of this bracelet is solid hardwood all the way through the lid and ends. 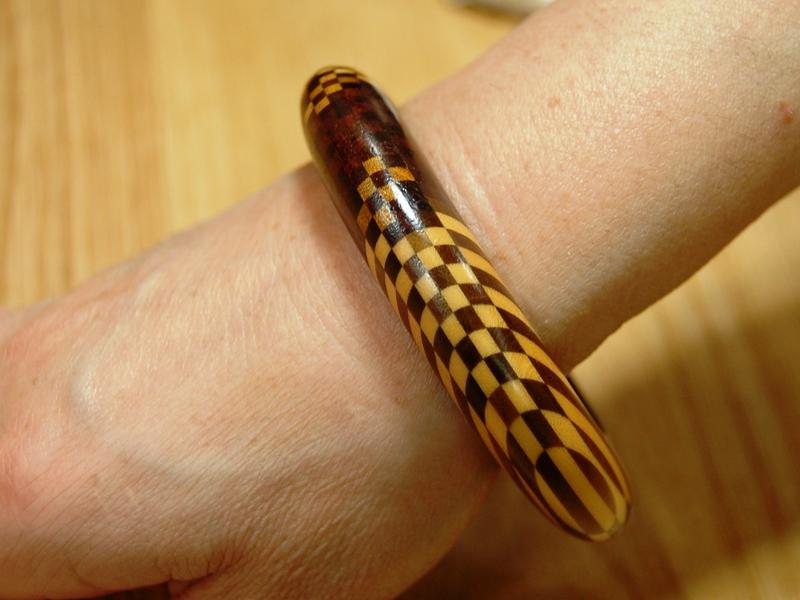 This bracelet does not use yosegi overlay.